Low Prices. Great Service. Job Done. We understand getting the right price is a major part of any deal; that’s why we launched our Campaign For Fair Prices way back in 2007. You see, when it comes to language services, you don’t always get what you pay for. In a sector where prices start at ‘free’ for an online machine translation, language companies can never compete directly on price. So, in an attempt to keep prices as low as possible, some companies cut costs by using cheap, unqualified, inexperienced translators or even machines in place of experts. But that doesn’t mean we’re more expensive than our competitors, we’re not. What it does mean is that when you request a quote from us, we’ll provide you with a full breakdown of exactly what you’re getting for your money and the end result will be precisely what you need. We promise not to ‘quote-you-low’ to hook you in and then ‘nickel and dime’ you with surcharges so you end up paying far more than the sticker price. We always charge by the number of words in the source text so you know exactly how much you’ll be charged before accepting our quote. 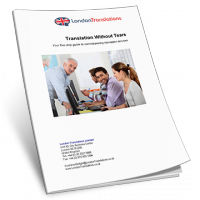 This is important as number of words in your translated document may well be greater than the number of words in the document you send us for a quote. This is due to something called ‘word expansion‘. Some companies charge by the number of words in the translated text which we think is unfair as there’s no way of telling until the job is done meaning you could get a nasty surprise when their bill arrives. We’ll give you a detailed quote up-front and stick to it. 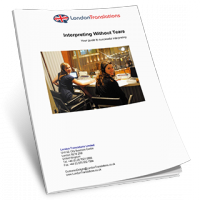 By far the fastest way to get an accurate free quote is to call us on 020 7021 0888 or email your document to CustomerDelight@LondonTranslations.co.uk – no obligation, no hard sell. We can usually give you a ball-park figure over the phone and followed up with a detailed written estimate in less time than it takes you to fetch your morning coffee. Be prepared to be pleasantly surprised. 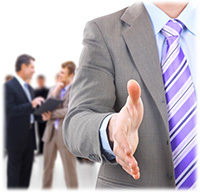 We’ll often suggest ways of getting what you need done far more cheaply than you may think – why not give us a try.